OHWOW (Miami) presents a solo exhibition of works chronicling New York’s fledgling skateboard scene from the early 90s by legendary photographer Ari Marcopoulos. Ari Marcopoulos has cemented himself as one of the most influential cultural anthropologists of the last three decades. His body of work focused on marginal pockets of American life and chronicled the early roots of these subcultures as they slowly crept into the mainstream conscience. He has an uncanny ability to be at the right place at the right time, capturing fledgling cultural movements as they are taking form. In the process, Marcopoulos produced some of the most arresting images of youth and defiance this generation ever witnessed. In his Miami debut, titled No Cause, Marcopoulos presents a series of images chronicling New York’s fledgling skateboard scene from the early 90s. These photographs document the charismatic individuals composing this specific group of skaters and the urban locations they frequented. The work poignantly captures the mood of the time, and its pioneers, just as this now legendary skate movement began to take form. In 1979, Ari Marcopoulos relocated from his native city of Amsterdam to New York. Fueled with enthusiasm and optimism, he quickly immersed himself in the downtown art scene, which eventually landed him assistantships with Andy Warhol and Irving Penn. 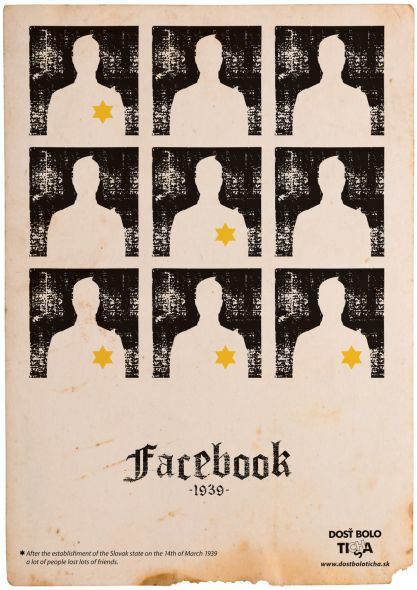 The origin of an independent Slovak state in 1939 was accompanied by racial oppression and later by the deportation of Jews to concentration camps. Print, which spread simultaneously also by means of galleries on Facebook, is reminiscent of the events after the birth of the Slovak state, and endeavors to present these events and their consequences to today’s generation. This visual is at the same time an invitation to join the protest action ‘Enough of the Silenceʼ. A more comprehensive version of the visual made it to the cover of a publication on latent racism, published by the civic organization People Against Racism. The peice was created by the advertising agency Lowe GGK, Slovakia. Creative Directors Ondrej Kořínek and Jozef Červeň and Art Director Luboš Kips. The film ‘It’s Alive’ (2008) is not worthy to be called a remake of the 1979 film. New parents, Lenore and Frank, bring their baby Daniel home from the hospital after Lenore experiences an early c-section. Though they think their child angelic, this could not be farther from the truth. Daniel is not your average infant. 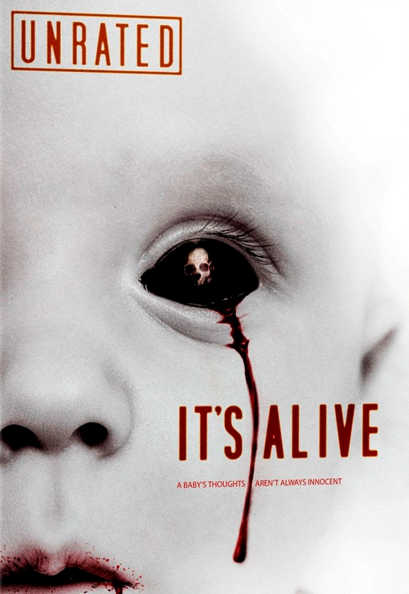 It’s Alive (2008) is a modern remake of the Larry’s Cohen 1974 original movie by the same name. I was excited to see the remake because the original was the first horror film I had ever seen. I remember covering my eyes throughout the entire movie cause I was petrified. That’s what happens when you’re too young to see a horror film. The baby, with it’s long claws and razor sharp fangs is an image I have never forgotten. I couldn’t wait to see if this updated version surpassed the original in the scare department. It didn’t and I was extremely disappointed. In the original Lenore and Frank, an ad executive, were played by older adults (in their 30′s), an average family, in an average home, not young twenty something’s. In the remake Lenore (played by Bijou Phillips) is a graduate student, who looks 19, who leaves school to give birth and Frank (Raphael Coleman) is the young architect father. They are a really pretty couple, in a really nice large Sante Fe-eqsue home in the boondocks. Far far away from everyone. 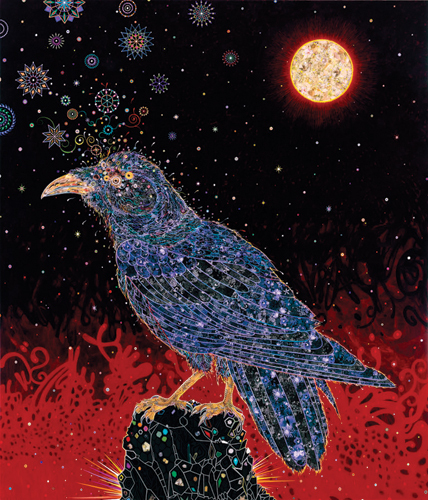 Fred Tomaselli’s exhibition at the Brooklyn Museum, a mid-career survey featuring the artist’s two-dimensional works from the late 1980s to the present, will be on view from October 8, 2010, through January 2, 2011. Tomaselli’s artwork draws upon a wide range of sources from both popular culture and art history, and from his own hobbies of gardening, kayaking, and bird-watching. Growing up near the desert in southern California, Tomaselli felt the influence of nearby theme parks, with their manufactured reality, and the music and drug counterculture of Los Angles in the 1970s and 1980s. 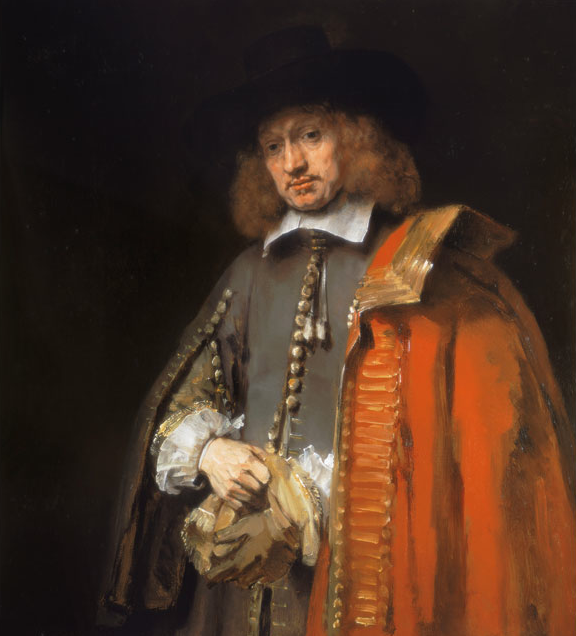 Rembrandt’s world-famous portrait of Jan Six will be brought to the Rijksmuseum specially for the Rembrandt & Jan Six. An Amsterdam Friendship exhibition. The portrait has been part of the private collection of the Six family from Amsterdam since the 17th century and it is rarely available for public viewing. Twenty works on paper, which tell the story of the development of the portrait, will also be exhibited in the Print Room. Artist Steve Barlett was born in West Virginia, grew up in Louisville, KY, and graduated from Kenyon College with a B.A. in Art. 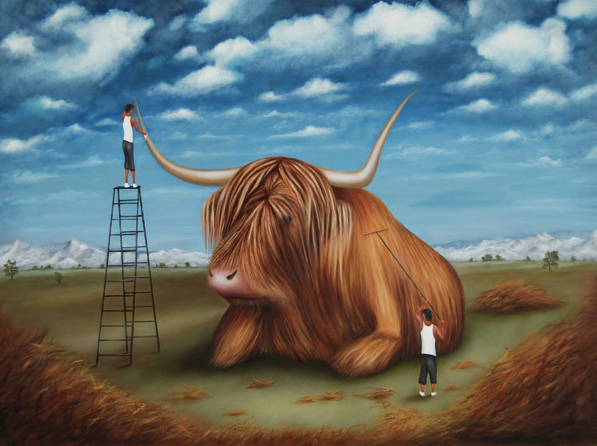 His narrative paintings are a combination of imaginary and personal experiences. Prior to painting, Steve sculpted small interior to large-scale outdoor stainless steel works. His art is in the public collections of Neiman Marcus, Continental Airlines, The Port of San Diego, The City of Los Altos, and Adobe Systems, as well as in numerous private collections. He currently lives in Los Angeles. In the sci-fi thriller The Island, nothing is what it seems. Warning slight spoilers ahead. Lincoln Six Echo (Ewan McGregor) and Jordan Two Delta (Scarlett Johansson) inhabit a world where everyone wears a white jumpsuit (everyday) and every aspect of their lives are monitored 24 hours a day. Things are not what they seem. This world is too perfect and everyone is too happy. Lies are being told to keep everyone tranquil and hoping for their own utopian trip to ‘The Island‘, the last place on earth that is uncontaminated. When Lincoln stumbles across the truth about what he is — with the help of James McCord (Steve Buscemi) who works at Merrick Biotech — he makes his break for freedom and a quest for Agnate exodus. 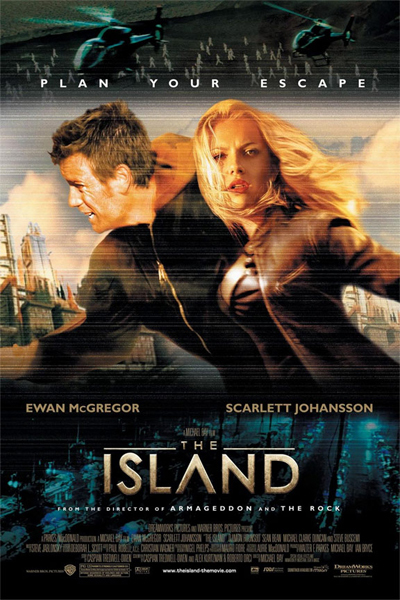 The Island (released in 2005), not to be confused with Peter Benchley’s The Island from 1980 (a different premise entirely), is produced by resident action genre boy wonder Michael Bay. So it’s no surprise this movie has tons of punch and thrills akin to a roller coaster ride; fantastic action-sequences, car chases, and tons of shoot-em up battles. The first half dives into the scientific theories of cloning and begs the ethical question, is it humane? How could people clone themselves knowing their Agnates have feelings? Answer is, they don’t know. The original humans think their ‘agnates’ (harvested beings) are vegetative just waiting to be used. Both human and clone are clueless. A dual-sided lie. The second half of the film is one long action chase sequence, where Lincoln and Jordan are hunted down by Albert Laurent (Dijmon Hounsou), who was hired by Dr. Merrick (Sean Bean) to make sure the truth does not get out.